The LittleBigPlanet series has been a hit for Sony first party studio Media Molecule, but after two games on the PS3 and one on each of Sony’s portable systems – the PSP and the Vita respectively – they have decided to move onto bigger and better things. Up to this point LBP’s gameplay has been centred around puzzle platforming, but now that developer United Front Games have taken the wheel, they’re about to drive the series off in a completely new direction. 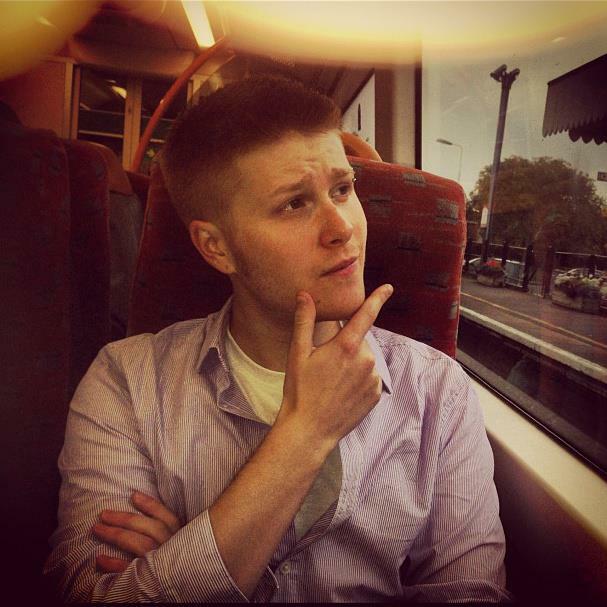 United Front are best known for their kart-racing series, ModNation Racers, which shares the same “Play, Create, Share” ethos as LittleBigPlanet, focusing primarily on user generated content. Perhaps wisely Sony has chosen to utilise their skills on this bigger, more successful franchise, marrying ModNation’s driving mechanics with the characters, environments and unbridled creativity of Craftsworld. Hopefully this will result in a decent, fast-paced spin-off befitting of this much beloved franchise. 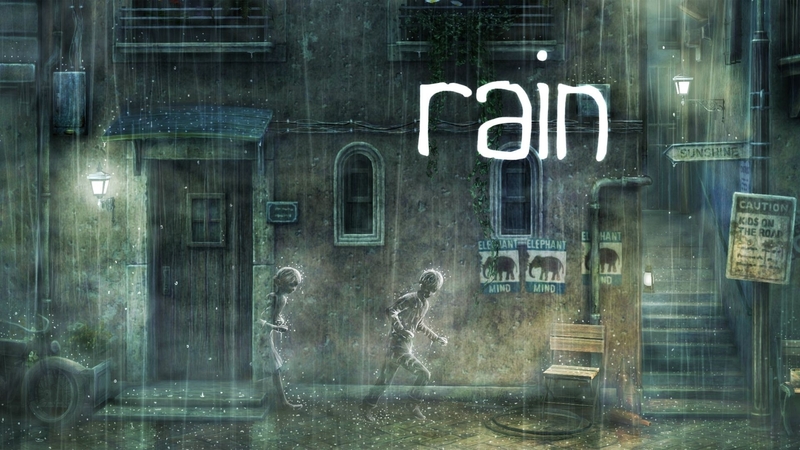 As with all LittleBigPlanet games the story is bare-bones. The Hoard, a greedy band of plunderers plan to steal Craftworld’s prizes for no other reason than simply to hoard them, so our hero Sackboy must once again come to the rescue in a race against time to stop them. Throughout events players can pick up many different kinds of weapons. Straight shots, heat-seeking projectiles, EMPs and grenades can all be employed to attack and hinder your opponent’s progress. Weapons can be fired both forwards and backwards and can be used both for offence and defence, depending on the situation. Boost items can also be collected, such as Auto-Pilot – which transforms the player’s kart into a rocket-propelled boxing glove that smashes other racers off the road, and Fast Forward – which teleports the player further ahead along the track. The game also makes use of LittleBigPlanet’s classic grappling hook mechanic during races, allowing players to swing across large gorges, climb through environments and find concealed shortcuts. If an adversary gets too close the player has the opportunity to reach out and give them a jolly good slap, stunning them. *Note – I do not endorse slapping other drivers in real life… unless they really piss you off! 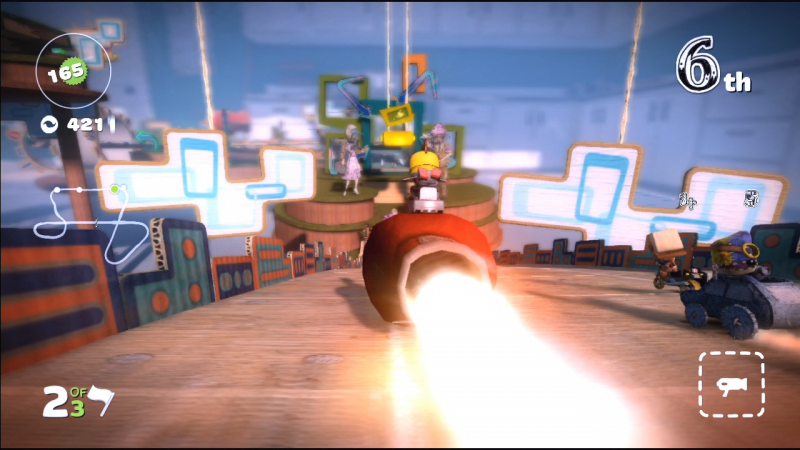 LBP Karting’s emphases is on gameplay options unlike traditional circuit racing, such as Battle Mode – eight player arena carnage where players fight it out with an array of weapons and earn points for taking out their competitors. Other modes include Waypoint Races, Treasure Hunts and Score Attacks. Similar to previous titles in the franchise, user generated content will play a pivotal role in the game. Users can customise their Sackboy as well as their karts, create their own tracks and even their own mini games, akin to LBP2. The editor, which is the same one that the game designers used, allows for adjusting and creating game rules as well as fabricating your own weapons. Once created, courses can be shared online via the PlayStation network for others to download and play. LBP’s trademark Pod returns as the game’s hub, although it has been expanded, turning it into a garage of sorts. 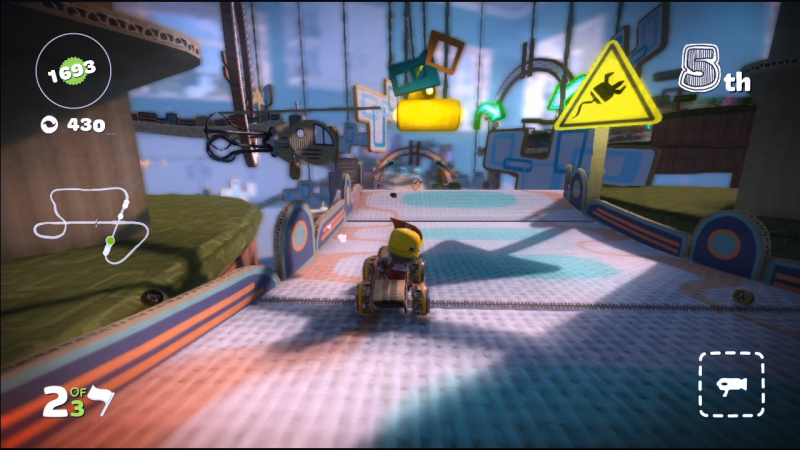 From here levels can be selected, the community can be accessed and up to four players can customise their Sackboys and karts at once. As in previous titles all editing of both characters and levels is implemented using the Popit Menu, so longterm fans of the series should feel right at home. I never played ModNation Racers but I am a fan of karting games. And even though I did quite enjoy both LittleBigPlanet and its sequel, I don’t think I got as much out of them as the majority of people did. I’m not really the kind of person that will spend hours upon hours in creation modes, building levels, weapons and cars. I simply don’t have the patience. Like the other LBP games I would more than likely just run through the single player story then put the game down and only use it occasionally for multiplayer purposes. For that reason I simply can’t get that excited about this title and will definitely wait to see how it reviews before I even think about making a purchase. However if you are the type that enjoys all the creativity and/or you’re a huge fan of the LittleBigPlanet franchise, then come November 9th you should certainly consider taking LBP Karting out for a test drive. 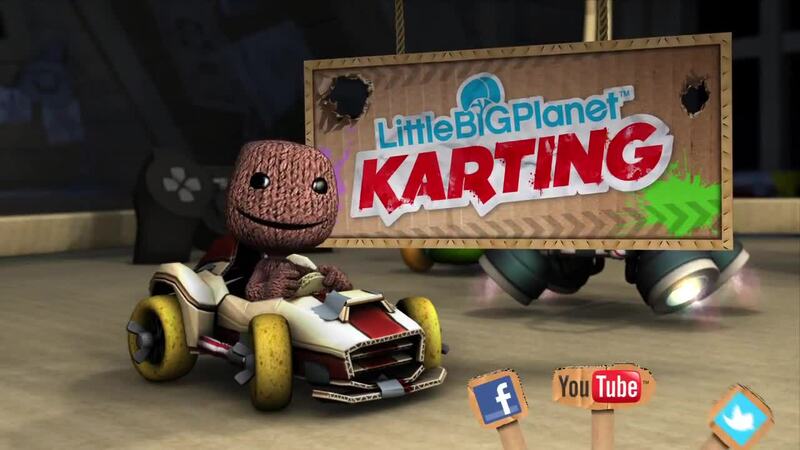 LittleBigPlanet Karting is released on 9th November 2012 exclusively on PS3.